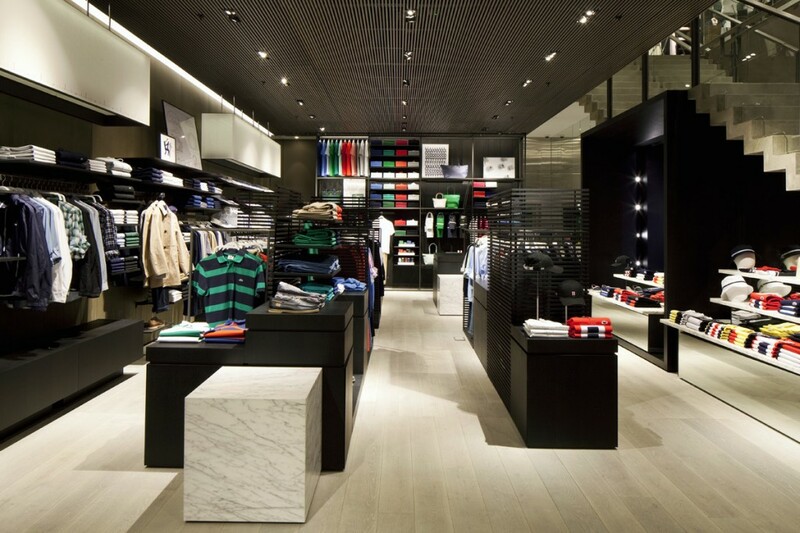 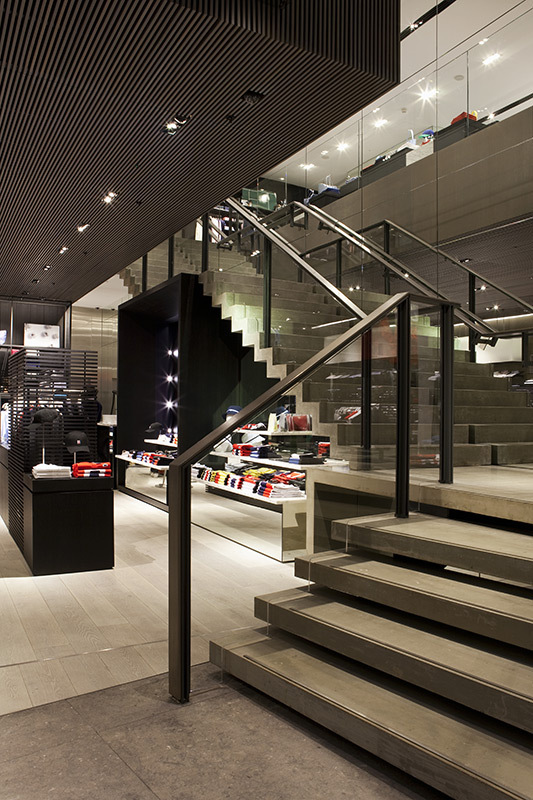 In 2014 French lighting consultants Looom [www.looom.fr] developed the new lighting concept for Lacoste in Europe. 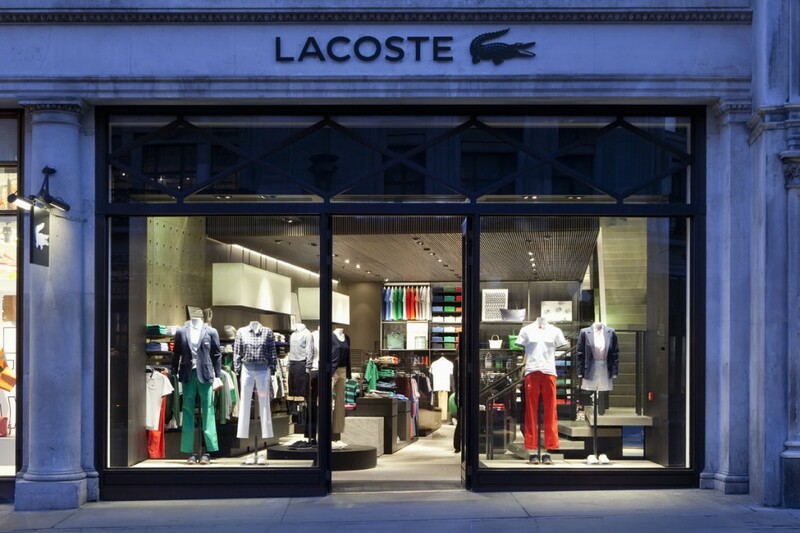 into were appointed by Lacoste to assist with the implementation of the Looom concept to this London Flagship store on Regent Street. 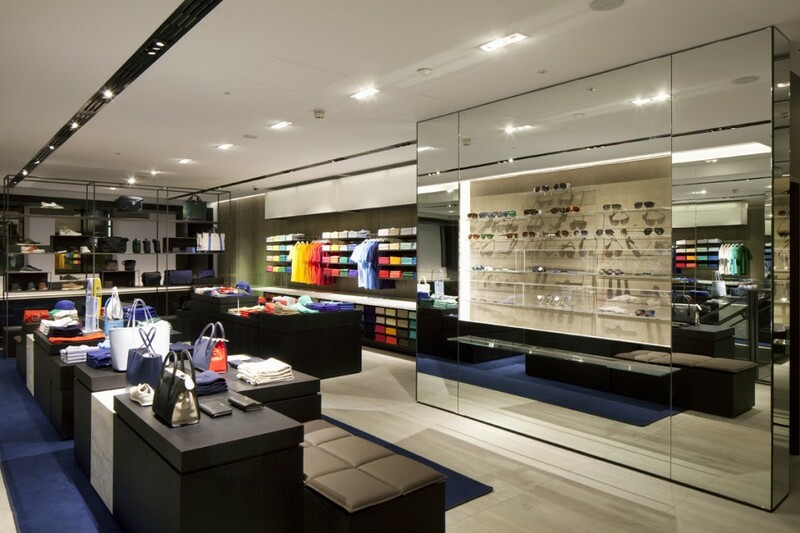 into worked alongside UK interior design consultants DesignLSM and their retail interior team on the implementation of the new Devanlay concept. 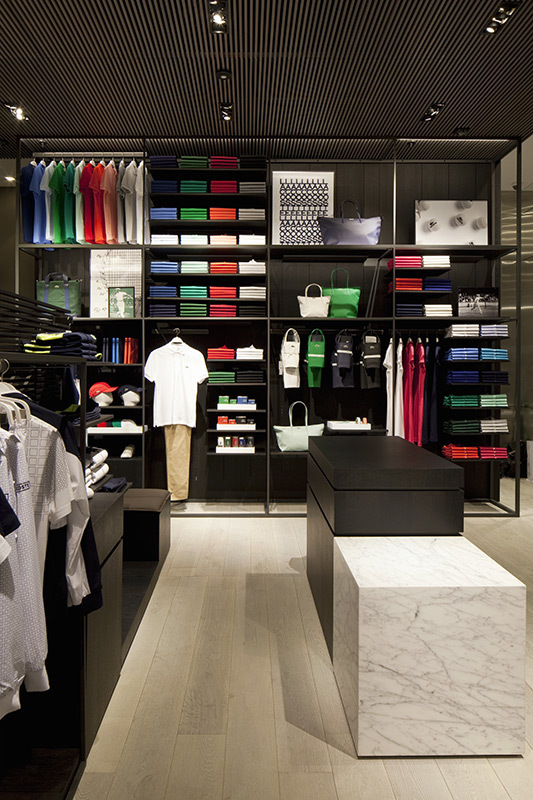 The Regent Street London boutique is the first in Europe to open with the new concept. 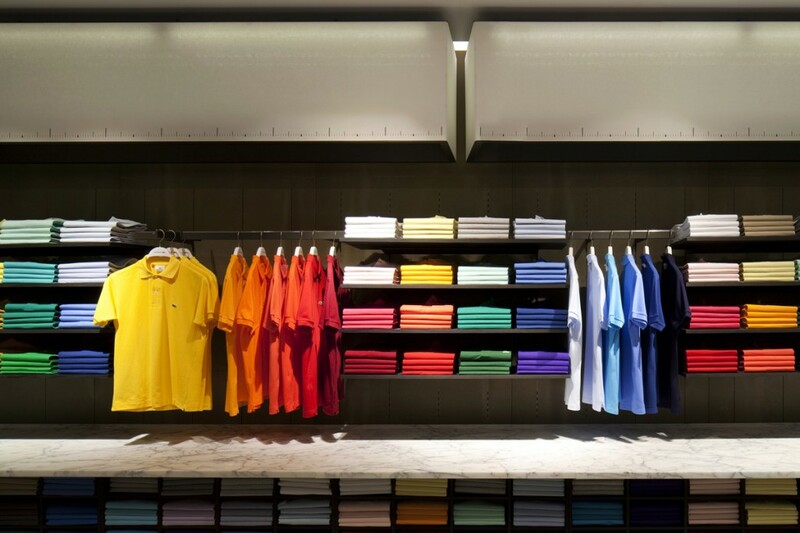 Located within a Grade II listed building, into ensured the lighting scheme was sensitive to the original building while also making a showcase of the innovative new Lacoste concept.